There are all sorts of reasons to need a one-off clean. 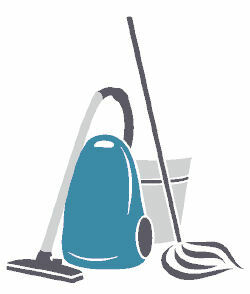 Often we are asked to do end of tenancy cleans, where the letting agent has very strict standards to be met. We are proud to say that none of our clients have ever had their deposits withheld due to the cleanliness of the house at hand over - we have always passed the estate agents inspection. Weddings, birthday parties, new babys' due, mother-in-law coming to stay - these are all common causes of panic - Maid2Measure Limited take all the pressure away by ensuring your home is spotless whatever the event. Repairing the havoc builders can wreak is another main reason people call on us to help - even small amounts of work can create an inch of dust over the entire house.